That he knows the Sharee’ah proofs which he needs in his ijtihaad – such as the verses and ahaadeeth pertaining to rulings. That he knows what relates to the authenticty or weakness of a hadeeth, such as having knowledge of the isnaad and it’s narrators and other than this. That he knows the abrogated and the abrogating, and the places where there is ijmaa – such that he does not give a ruling according to something that has been abrogated, nor give a ruling that opposes the (authentically related) ijmaa. That he knows from the proofs that which causes the rulings to vary, such as takhsees (particularisation), or taqyeed (restriction), or it’s like. So he does not give a judgement which is contrary to this. 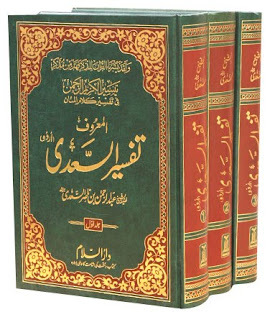 That he knows the Arabic language and usul al-fiqh, and what relates to the meanings and indications of particular wordings – such as the general, the particular, the absolute and unrestricted, the restricted, the unclarified, and the clarified, and it’s like – in order that he gives rulings in accordance with what this demands. That he has the ability to extract rulings from the evidences. It is essential that the Mujtahid strives in expending his efforts to arrive at knowledge of the truth, and to give rulings in accordance to what is apparent to him. If he is correct, then he has two rewards: one for his ijtihaad, and the other for arriving at the truth – since arriving at the truth means that it is manifested and acted upon. If, however, he is mistaken, then he has a single reward, and his error is forgiven him, as he (SAW) said, “when a judge judges and strives and is correct, then he has two rewards. If he judges and strives and errs, then he has a single reward.” If the ruling is not clear to him, then he must withold – and in such a case, taqleed is permissible for him, due to necessity. Exlcuded from our saying, “following he whose saying is not a proof” is: following the Prophet (SAW), following the ijmaa and also following the saying of the sahaabee – for those who consider the saying of a single sahaabee to be a proof. So following any of these is not called taqleed, since there is a proof for doing so. However this type of following is sometimes referred to as taqleed in a very metaphorical and loose sense. 1) when the muqallid is an ‘aamee (a common person) who does not have the ability to aquire knowledge of the sharee’ah ruling by himself. So taqleed is obligatory upon him, due to the saying of Allaah – The Most High, “ask the people of knowledge if you do not know.” So he does taqleed of one whom he considers to be a person of knowledge and piety. If there are two such people who are equal in his view, then he chooses any one of them. Some stipulate as a condition for the permissibility of taqleed, that the matter is not from the fundamentals of the deen – those matters which must be held as aqueedah – since matters of aqueedah require certainty, whereas taqleed only amounts to dhann (knowledge which is not certain). Taqleed is of two types: general and specific. 1) The general type: that a person sticks to a particular madhhab (school of thought), accepting it’s concessions and non-concessions, in all matters of the deen. The scholars have differed about such a state. So some amongst the late-comers have reported that this is obligatory upon him, due to his inability to perform ijtihaad. Others report it as being forbidden for him, due to its being a case of necessitating unrestricted following of other than the Prophet (SAW). 2) The particular type of taqleed is that he accepts a saying about a particular matter. This is permissible if such a person is unable to arrive at knowledge of the by ijtihaad – whether he is unable to in reality, or he is able, but with great difficulty. Allaah – the Most High – said, “Ask the people of knowledge if you do not know.” And the Ahludh Dhikr are the Ahlul Ilm (the people of knowledge), whereas the muqallid is not a person of knowledge who is followed – rather he himself is a follower of someone else. “There are three sayings about the permissibility of giving fatwaa based upon taqleed:1) It is not permissible to give fatwaa based upon taqleed, because it is not knowledge; since issuing a fatwaa without knowledge is forbidden. This is the saying of most of the Hanbalee scholars and the majority of the Shaafi’iyyah. 2) That it is permissible with regards to himself, but it is not permissible to give a fatwaa to others based upon taqleed. 1. He is Abu Abdullaah Muhammad ibn Saalih ibn Muhammad ibn Uthaymeen al-Wuhaibee at-Tameemee, born 27th Ramadaan 1347 in ‘Unayzah, Saudia Arabia. He memorised the Qur’aan during early life and then studied under two of the students of Shaykh Abd ar-Rahmaan as-Sa’dee, later on going to study under the Shaykh himself. He studied Tawheed, tafseer, hadeeth, fiqh, usul al-fiqh, al-faraa’id (inheritance), nahw (grammar) and sarf (morphology). Then he studied under the scholar Abd al-Azeez bin Baaz. 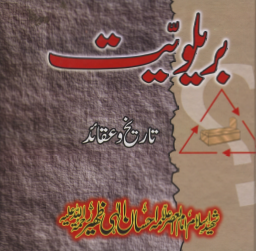 He is one of the foremost shaykhs of Ahlus Sunnah today, and has written around 40 books. ash-Shaatibee says in ‘al-Muwaafiqaat’ (4/293), “the muqallid is not an aalim.” And it occurs in the books of the Hanafees that the ignorant one is not allowed to take the post of Qadee (judge). And ibn al-Hammaan explains the ignorant one to be the Muqallid in ‘Fath al-Qadeer’ (5/456) and likewise ibn Wazeer in ‘Rawdah al-Baasim’ (1/36). 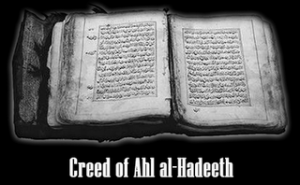 5. pp’s 83+ of the English translation by The Daar of Islamic Heritage. This whole section is important and should be read thoroughly as it clears up many misconceptions and doubts.